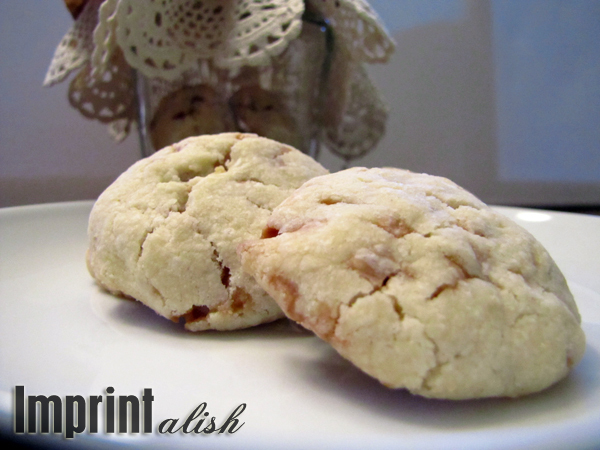 Up Mommy Creek: Sponsor Spotlight: Shortbread Meltaways and Holiday Wrapping with Lish from Imprintalish! 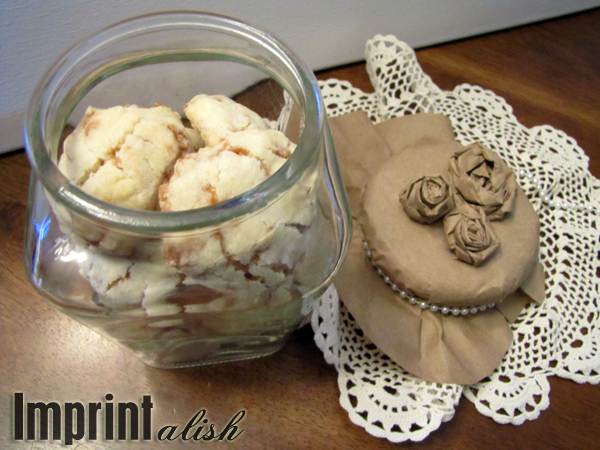 Sponsor Spotlight: Shortbread Meltaways and Holiday Wrapping with Lish from Imprintalish! Hello all you Up Mommy Creek readers!! I'm so happy to be here today hanging out with my fellow Canadian, Amy, and all of you!!! 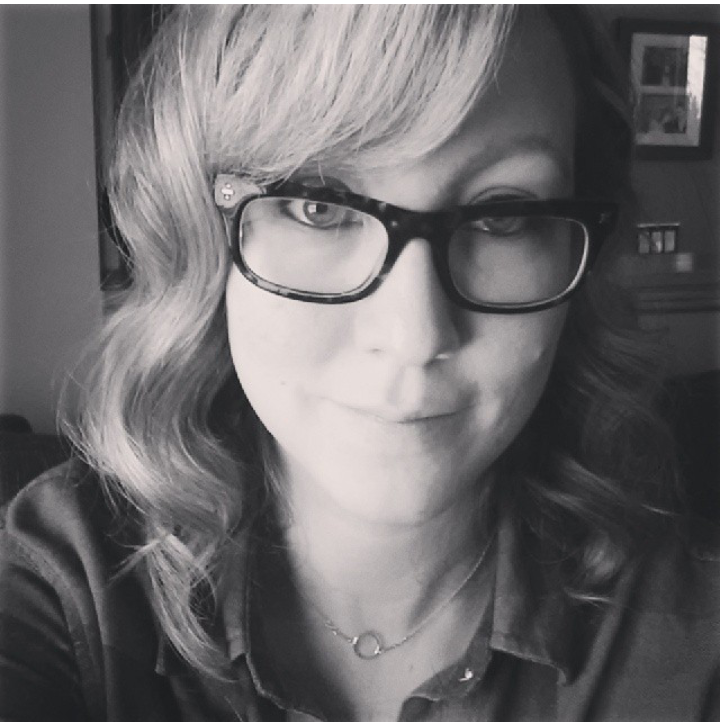 My name is Lish and I blog over at Imprintalish. I blog about everything from my two handsome little guys to crafts to pretty finds on the web, recipes and tales of balancing life, my etsy shop and being a SAHM. Today I am going to be sharing a recipe with you that I put into my Christmas goodies line up a couple years ago. It's pretty simple and will be sure to help you pack on the pounds..LOL...I think I have ate a whole batch already, and if you add up those little calories (look at the bottom of the recipe down below), I think that equals out to two days worth of calories!! If you can keep your hands off them though, they are the perfect treat to share with neighbours, friends, coworkers and family! Preheat oven to 350 degrees F. Line cookie sheets with parchment paper. Beat butter, icing sugar and vanilla until creamy. In a separate bowl, combine flour, corn starch, baking powder and salt;stir half into butter mixture. Stir in toffee bits and remaining flour mixture. Roll heaping tablespoons of dough into balls and place on prepared cookie sheets about 2 inches apart. Bake in preheated oven for about 15 minutes or until lightly golden. Let cool on pan for about 5 minutes and dust with more icing sugar, if desired. Store in airtight container for up to two weeks. These also freeze well! 1 cookie= 80 calories-bet you didn't want to know that! So once you've finished baking and let them cool, it's time to wrap them up! 1. Loosely trace the lid onto some Kraft paper, I left about two inches of space around it. 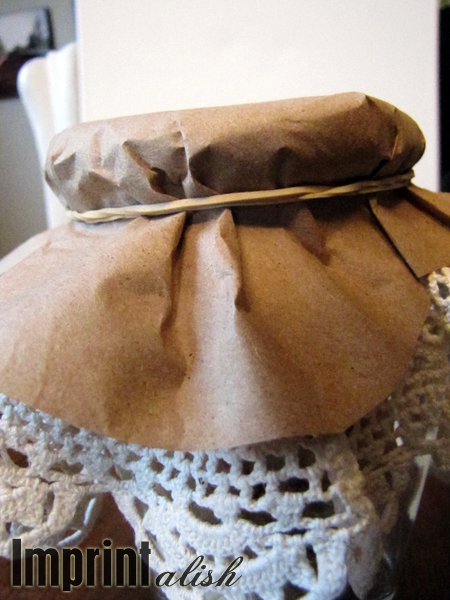 Next, center the doily on top of the lid with the Kraft paper on top of that. Secure in place with an elastic band. 2. To decorate the top of the jar, I cut a long skinny strip of Kraft paper and started twisting and rolling it to make it resemble a ribbon, almost like a piece of raffia. 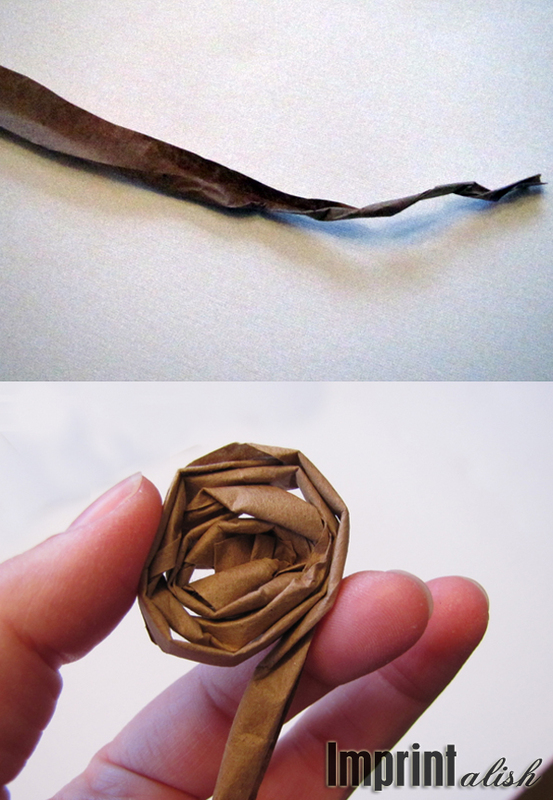 Then I started rolling it around into a shape of a flower. 3. Secure the flowers to the top of the lid with some glue. 4. 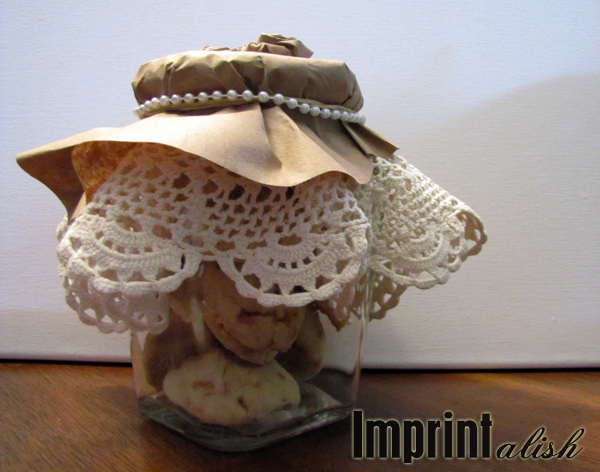 Cover the elastic by wrapping a string of beads, ribbon, yarn around the jar. Voila! A jar perfect for gift giving. Not only for Christmas but for any time of the year too! Thanks so much for having my over to visit Amy, I had so much fun! I hope to see all of you over at my blog too...don't be shy either, I love meeting new people! YUMMY I had these cookies a few years ago (might have been at Christmas) and I've never forgotten them...they were so good! Pretty packaging too!